A much debated ancient human skull from Mongolia has been dated and genetically analysed, showing that it is the earliest modern human yet found in the region, according to new research from the University of Oxford. Radiocarbon dating and DNA analysis have revealed that the only Pleistocene hominin fossil discovered in Mongolia, initially called Mongolanthropus, is in reality a modern human who lived approximately 34 – 35 thousand years ago. 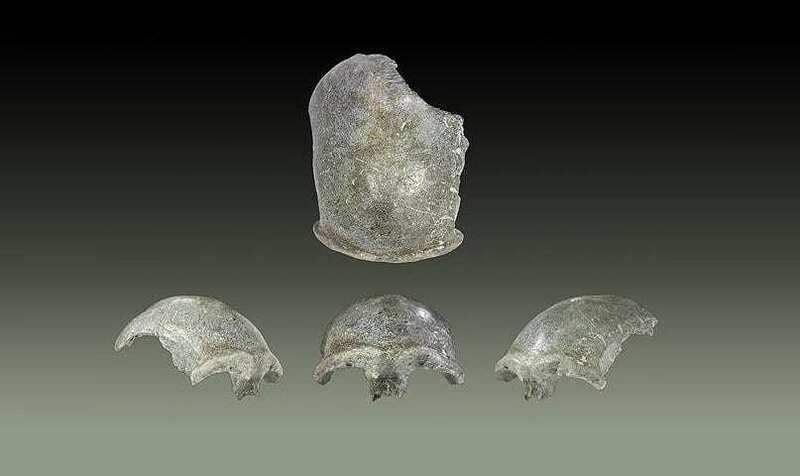 The skullcap, found in the Salkhit Valley northeast Mongolia is, to date, the only Pleistocene hominin fossil found in the country. The skullcap is mostly complete and includes the brow ridges and nasal bones. The presence of archaic or ancient features have led in the past to the specimen being linked with uncharacterized archaic hominin species, such as Homo erectus and Neanderthals. Previous research suggested ages for the specimen ranging from the Early Middle Pleistocene to the terminal Late Pleistocene. The Oxford team re-dated the specimen to 34,950 – 33,900 years ago. This is around 8,000 years older than the initial radiocarbon dates obtained on the same specimen. To make this discovery, the Oxford team employed a new optimised technique for radiocarbon dating of heavily contaminated bones. This method relies on extracting just one of the amino acids from the collagen present in the bone. The amino acid hydroxyproline (HYP), which accounts for 13% of the carbon in mammalian collagen, was targeted by the researchers. Dating this amino acid allows for the drastic improvement in the removal of modern contaminants from the specimens. The new and reliable radiocarbon date obtained for the specimen shows that this individual dates to the same period as the Early Upper Palaeolithic stone tool industry in Mongolia, which is usually associated with modern humans. The age is later than the earliest evidence for anatomically modern humans in greater Eurasia, which could be in excess of 100,000 years in China according to some researchers. This new result also suggests that there was still a significant amount of unremoved contamination in the sample during the original radiocarbon measurements. Additional analyses performed in collaboration with scientists at the University of Pisa (Italy) confirmed that the sample was heavily contaminated by the resin that had been used to cast the specimen after its discovery. DNA analyses were also performed on the hominin bones by Professor Svante Pääbo’s team at the Max-Planck Institute for Evolutionary Anthropology in Leipzig, Germany. Diyendo Massiliani and colleagues reconstructed the complete mitochondrial genome of the specimen. It falls within a group of modern human mtDNAs (haplogroup N) that is widespread in Eurasia today, confirming the view of some researchers that the cranium is indeed a modern human. Further nuclear DNA work is underway to shed further light on the genetics of the cranium.